Today, I find that I’m able to whizz through the next three exercises for various reasons. For Exercise 5, I am, in fact, going to skip the exercise completely until I have grown a readership and can return to complete the exercise. Onward to Exercise 6 where the challenge was “less about ‘doing’ and more about ‘learning’ and increasing your knowledge of blogging”. However, this exercise only required reading through a collection of helpful articles presented by ten successful bloggers. This turned out to be a great exercise and one where I found some very useful and pertinent ideas that could easily be incorporated into my own blog writing. I’ve chosen to build a resource on a topic for this exercise and presently there is no better topic for me than RootsTech. 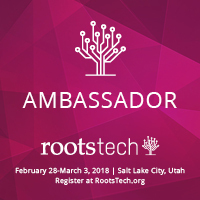 I’m keen to read up on blogs relating to past RootsTech events that will prepare me for my upcoming role as an official ambassador at RootsTech 2017. Among the wonderful assortment of posts returned by Dr Google for previous RootsTech conferences were some great reads by well-known genie bloggers including Thomas MacEntee writing for Geneabloggers, Kirsty Gray from Family Wise and Australia’s very own Jill Ball of GeniAus. However, the crème de la crème had to be Randy Seaver’s RootsTech 2016 Conference Blog Compendium. I know I am going to be very busy over the next few days reading through all of the articles posted by 73 separate bloggers that Randy was able to source. This entry was posted in 31 Days, RootsTech 2017 on September 3, 2016 by Jennie. This exercise involved spending time on a successful blog in my niche so that I might observe the content, reader engagement, design, and monetization. With genealogy, there are just so many great blogs out there that those I want to read regularly are added to my RSS FeedReader so that I can catch up with them when I have time. Sometimes this is weekly other times it is closer to monthly. Picking one blog to scrutinise was difficult but I eventually settled on the FamilySearch blog. While not a money-making blog, I felt that it was one that is more than worthy of being a regular read. The blog covers an inordinate amount of material taking in everything from community projects, new records, how to as well as why, photos and family history stories and, of course, everything to do with RootsTech. New posts are uploaded every couple of days by either the team at FamilySearch or by guest bloggers and cover all levels of genealogy material for the beginners to the professional. While the posts I looked at didn’t generate a lot of comment traffic, what comment there was showed that FamilySearch are certainly doing things right. Tools and mediums used by the site include linking to their Facebook, Twitter, Pinterest and G+ sites with options to subscribe to their blog via newsletters and RSS feeds. But probably the best thing about the blog for me is the design – it is clean with plenty of white space and requires minimal interaction to move around. This entry was posted in 31 Days, RootsTech 2017 and tagged 31 Days on September 2, 2016 by Jennie. Today’s exercise is about promoting your blog with suggestions that include asking other bloggers to link to your blog, posting to social media sites such as Facebook and Twitter or sending out newsletters. I can honestly say that asking someone to link to my blog is not something that sits comfortably with me. After all, their opinions may turn out to be not the same as mine. And if I felt I needed to remove their link, I expect I would feel uncomfortable advising them I had removed their link. At this stage, I’m also not keen to start sending out newsletters. I guess I will have to go with the suggestion to share posts on other social messaging sites such as Facebook and Twitter. I find this a far more comfortable suggestion and one in which I can hold a degree of control over what is promoted. My blog was designed using WordPress and as a newbie to designing and operating a blog I’m enjoying learning new ways to develop the site. Looking around at compatible programs for WordPress, I thought I would try the automatic “Add a Link to Facebook” plugin. Sadly, I’m finding the instructions a tad technical. If I haven’t set up the plugin successfully, I will have to remain content, for now, to manually add links to my posts on Facebook. At least, until I can get someone more tech savvy to show me what to do. This entry was posted in 31 Days and tagged 31 Days on August 31, 2016 by Jennie. Late in July I came across an online blogger who was undertaking the 31 Days to Build a Better Blog challenge put forth by Darren Rowse of Problogger. Now this was something I could see merit in doing having started a genealogy blog late last year. I immediately jumped in and purchased a copy of Darren’s e-book and, after reading the first couple of chapters, made the decision to dedicate the month of August to undertake the challenge. But as Robert Burns famously wrote in 1785 – The best laid schemes of mice and men, Go often askew and now it’s August 29 and I still haven’t started! However, that will all change today. Instead of waiting for another 31-day month, I am going to make a start and continue working through the program – whether it be one post per day or several. Write an Elevator Pitch – Wikipedia defines an elevator pitch as a short summary which can easily define an idea for a product, service, organisation or event that can be delivered in the time spent during an elevator ride. 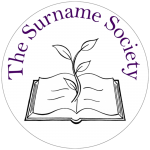 To attract and interest readers with personal family stories and genealogical research tips and news. This entry was posted in 31 Days, News and tagged 31 Days on August 29, 2016 by Jennie.